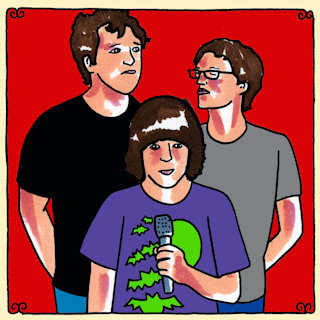 10.27.10: New Brunswick basement rock trio, Screaming Females, laid down a few tracks from their new Castle Talk album for Daytrotter. I was very happy with the live version of "A New Kid," which might be my favorite track on the album, and the medley transition to the scream-infused "Zoo Of Death" is worth checking out. I reviewed the album for Kicking Against The Pricks. You can find that review here.